An Oppo R15X leaked listing has appeared online, and it has spilled the beans on the tech specs of the device. Even the price of the phone has been leaked. The R15X features a 6.4-inch display, which has a FullHD+ screen resolution of 2340 x 1080 pixels, in the 18:9 aspect ratio, a water-drop notch design with a selfie lens in it. The device has a 91% screen to body ratio, with minimal bezels and is protected by a Corning Gorilla Glass 5 panel. The phone runs on ColorOS based on Android 8.1 Oreo, and is powered by a Qualcomm Snapdragon 660 processor. It will be available in two variants; the first variant of the Oppo R15X has 4GB of RAM and 128GB of internal storage, while the other variant has 6GB of RAM and the same amount of storage. The selfie lens on the Oppo R15X is a 25MP camera, while the main lenses are a 16MP and 2MP dual cameras. The phone is backed by a 3,500mAh battery. The device reportedly looks the same as the Oppo K1, which was announced recently. 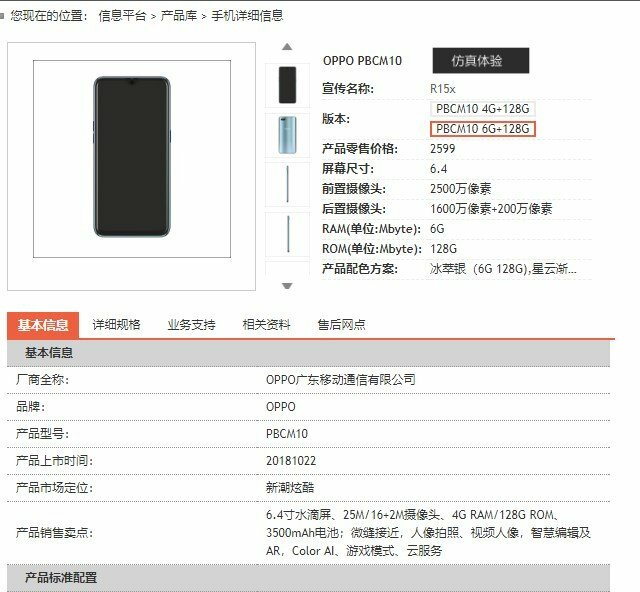 In fact, the model number of the Oppo R15X is PBCM10 like the K1’s PBMC30. There is no rear-placed fingerprint scanner on the Oppo R15X, and it might have an in-display sensor. 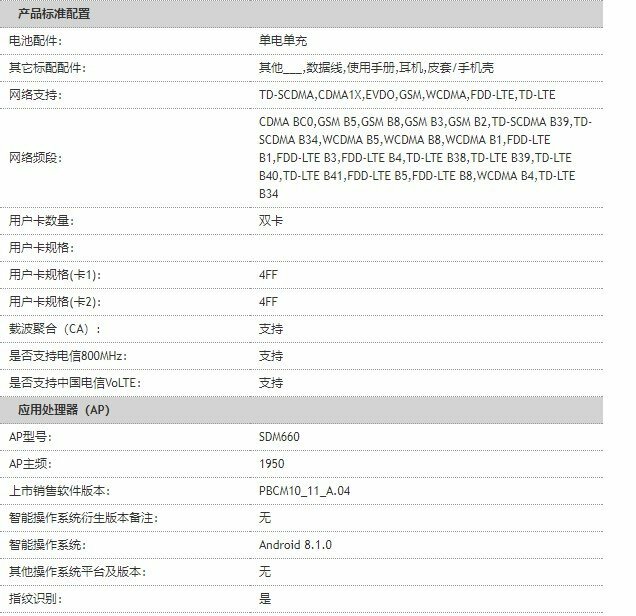 The Oppo R15X leaked listing says that the phone is priced at 2,499 RMB, which is about Rs. 27,000, for the 4GB RAM variant, while the 6GB variant will retail for 2,599 RMB (about Rs. 28,000), in China. We think these prices may be just placeholders, because the device is far too similar to the Oppo K1, which is priced at 1,599 RMB. An official launch date for the device is yet to be announced.